The four modules, QuickLog, QuickCross/Fence, QuickGIS, and QuickSoil are contained in one integrated application called "Geotechnical Graphics, " or "GeoGraphics" for short. QuickLog greatly speeds and simplifies the process of creating boring log/well construction diagrams. 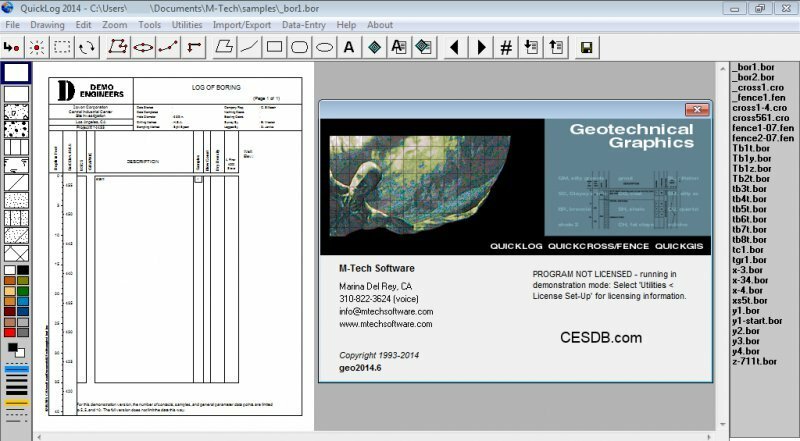 Featuring a point and click graphical interface, it's intended for use by geologists or data entry staff members to create diagrams without the need for a CAD system. Hundreds of different formats can be created without programming or lengthy formatting. The QuickCross and QuickFence modules use data already entered in QuickLog to create 2-D cross sections and 3-D fence diagrams. Using the drawing tools, you can edit the drawings right on the preview screen. QuickGIS enables you to organize the lithology data for a set of borings into a table of X, Y, Z coordinates so that it fits the formats needed for exporting to most 3-D modeling programs such as ArcView and EVS. QuickSoil produces a soil analysis table that shows soil sample test purple supras for girls results for a set of parameters. Each sample is placed at its correct depth and shaded according to the value of each parameter tested. It makes it easy to see the areas of contamination throughout the different layers of soil. After installation, all four modules in Geotechnical Graphics run in "demo" mode. However, after you have made a purchase, you will receive a password which will unlock the modules you've chosen. In summary: whether you are an owner or you are just trying the demo, you download the same file -- a password entered after installation controls which modules run in full mode. 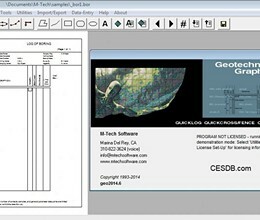 * Geotechnical Graphics download link provides demo version of the software. No one has rated Geotechnical Graphics yet. Be the first to rate this product.